Community support is an essential part of coping with trauma and the long healing process. Trauma is something Steve Hellner-Burris, executive director of Rebuilding Together Pittsburgh, unfortunately knows too well. His father was murdered three years ago. It’s this idea of deeply restorative support that Rebuilding Together Pittsburgh uses to bring hope to communities. When Steve started as executive director seven years ago, he had to figure out how to grow the organization so it could help more people. 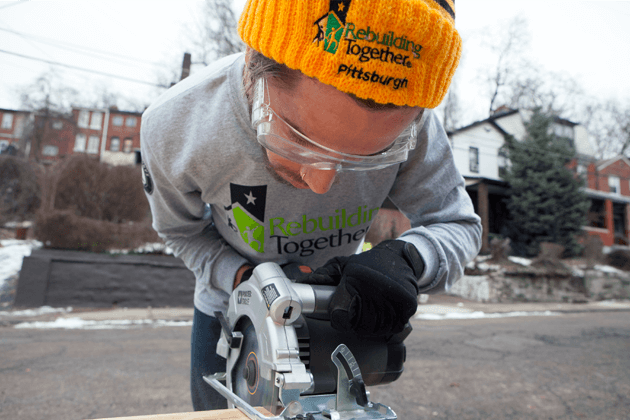 Like other affiliates around the country, Rebuilding Together Pittsburgh helps rebuild the homes of low-income homeowners, particularly seniors, people with disabilities, and veterans. Rebuilding Together Pittsburgh further focuses its efforts on what it calls Impact Neighborhoods. These are eight communities still struggling economically because of the steel industry collapse in the 1970s compounded with the financial crash of 2008. 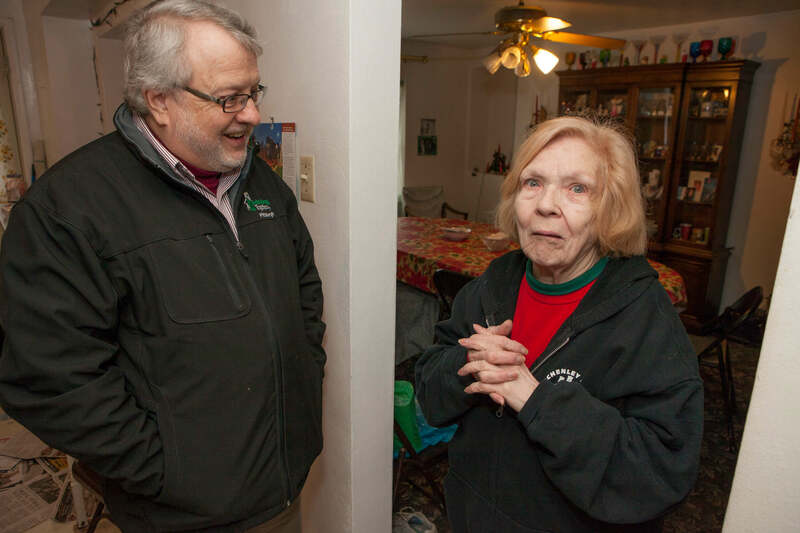 In the Impact Neighborhoods, Rebuilding Together Pittsburgh simultaneously works on multiple houses located on the same street or within a small area. It is a community stabilization and revitalization effort that supports both individual homeowners and the neighborhood in which they live. Such a deep process takes investment—and time. “We promise to be in a community for three to five years, minimum,” Steve said. It’s not just homeowners and neighbors who are changed by community revitalization. Watch a video on Rebuilding Together Pittsburgh's community revitalization efforts.